Debates on immigrant integration often center on “national models of integration,” a concept that reflects the desire of both researchers and policy makers to find common ground. This book challenges the idea that there has ever been a coherent or consistent Dutch model of integration and asserts that though Dutch society has long been seen as exemplary for its multiculturalism—and argues that the incorporation of migrants remains one of the country’s most pressing social and political concerns. 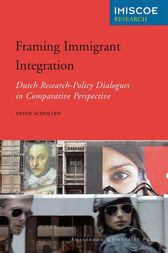 In addition to an analysis of how immigration is framed and reframed through diverse dialogues, the author provides a highly dynamic overview of integration policy and its evolution alongside migration research.